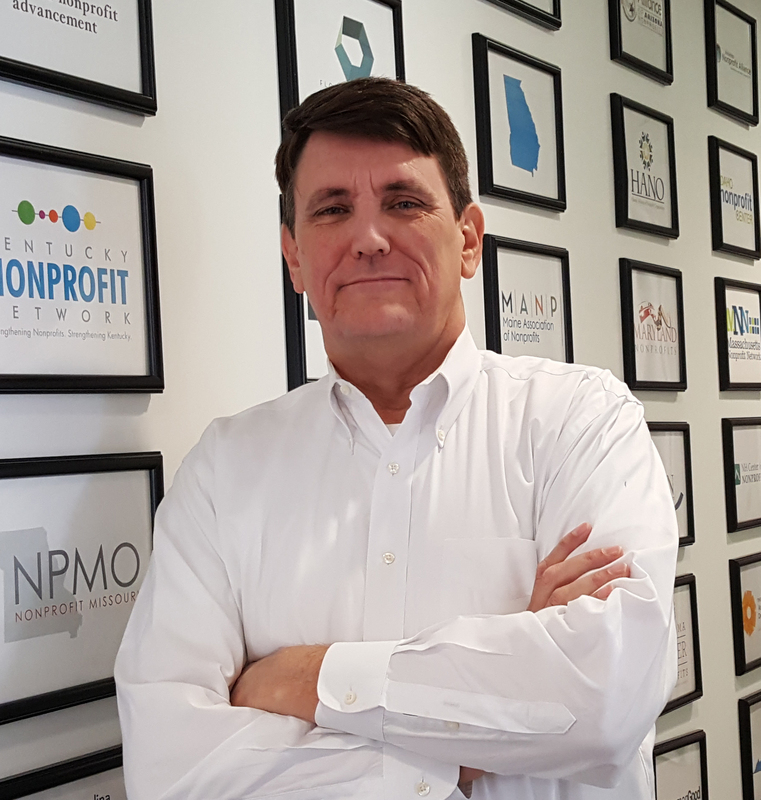 We're bringing David to Kansas City on October 29 to discuss nonprofit policy trends for 2019. Learn more and save your spot here. Charitable nonprofits from Hawaii to the Carolinas in recent months have seen what natural disasters can do to communities and the ability of the nonprofits organizations to advance (or even rescue) their missions. Our colleague organizations in those states have been responding with resourcefulness, collective action, and engagement with government and businesses in their areas, all to solve local problems. It’s not the acts of nature, but the acts of public officials, however, that I want to write about. Specifically, are nonprofits prepared to deal with the tsunami-like laws and court decisions that will alter the way nonprofits do business in the Kansas City area and around the country? Will organizations come together for the public good in the face of politician-made challenges? Changes are coming and how we as nonprofits respond will affect the outcome. With any tax-law change there are winners and losers. Much has already been written about the potential adverse impact on charitable giving by the law that nearly doubled the standard deduction and lowered tax rates. A study by the conservative American Enterprise Institute recently agreed with pre-passage predictions that the federal changes will reduce the amount that will be given to the work of charitable nonprofits by $17.2 billion or 4.0 percent in 2018. The truth is that no one will know for sure for a year or more whether charitable giving takes a major hit due to the tax law. What is known, however, is how some states have already acted in response to 2017 tax act, and what that might predict for state legislative sessions in 2019. The question presented to the states has been whether they are willing to undo the predicted damage to charitable giving and thus the work of nonprofit organizations in communities. Inexplicably, Vermont did the opposite of fixing the problem and actually reduced its state tax incentive for charitable giving by repealing its existing charitable tax deduction and replacing it with a much smaller tax credit. Not all states have gone in the wrong direction. Lawmakers in Colorado and Minnesota, the two states with non-itemizer deductions, tried unsuccessfully this year and are planning to try again in 2019 to expand their giving incentive for those who take the standard deduction. In New Jersey, a state with no charitable tax deduction, two bipartisan bills are currently pending to create a deduction that will help restore giving incentives lost through the federal legislation. A surprising component of the federal tax law likely to generate state legislative action relates to two new taxes on tax-exempt organizations. One provision imposes an unrelated business income tax (UBIT) on transportation expenses of employers and employees. Another forces nonprofits to reallocate all of their income and costs in unrelated business activities into “separate” “trades or businesses,” whatever those undefined terms mean. Accountants, lawyers, nonprofits, and many others are baffled by the terms and are demanding delay and clarification. Treasury and IRS have proposed regulations to provide some clarity to the separate trade or business taxes, but no clarity has yet been offered on the transportation benefits tax that has nonprofits, houses of worship, and foundations up in arms. The problem is a state-law challenge as well because several states impose their own tax on top of the federal UBIT. The Minnesota Council of Nonprofits was the first to raise the issue and nearly succeeded in including language in the state’s tax reform package that would have “decoupled” state UBIT from the federal taxes. Separately, at the urging of the North Carolina Center for Nonprofits, the North Carolina Legislature enacted a budget and spending bill that canceled state UBIT on nonprofit parking from the new federal tax law. The New York State Senate and Assembly also approved a bill to decouple state tax law from the new federal tax on nonprofit and employee expenses for transportation benefits, saving nonprofits there taxes of an additional nine percent if the Governor signs the bill. The U.S. Supreme Court added to the flux in nonprofit tax policy this summer when it issued its decision in South Dakota v. Wayfair that recognized the power of states to tax internet sales outside their borders. This matters to charitable nonprofits because any exemptions on the sales or purchases they enjoy in their own states can be, and usually are, ignored by other states, meaning that online purchases from other states will be sometimes taxed and sometimes not – based on the other state’s laws. And those state sales tax laws are changing. Experts believe that the states may reap as much as $28 billion dollars per year by expanding their sales taxes beyond their borders. About a third of the states have already adopted laws that mirror the one in South Dakota and most other states will likely open up their laws in the 2019 legislative session to get in on the windfall. Kentucky provides a case study on what to worry about in this area. The Legislature expanded its sales tax to services and labor in last minute legislation that, to the surprise of nonprofits and lawmakers alike, imposes new tax liabilities on nonprofits that sell tickets to events or hold auction fundraisers. Intentionally or inadvertently, nonprofits can get hurt. I started this piece by recognizing that acts of nature can bring out the best in us, and that acts of politicians should put us all on guard. When tax reforms of any types are proposed – income, sales/use, property - nonprofits must be vigilant to ensure that changes initiated for one purpose don’t morph into assaults on nonprofit tax exemptions. We must also be prepared to seek improvements to the laws when they are reopened. Collectively, the charitable sector makes our communities stronger; through collective advocacy, we are able to preserve and expand that impact even farther.